With so many skincare products out there, it can feel overwhelming to decide what’s best for your unique skin. The professional team at Healthy Outcomes AZ in Sedona, Arizona, make choosing the right skin products a breeze. They only recommend superior brands, such as Jan Marini Skin Research. To develop a high-quality skincare routine, call or book an appointment online today. What brands make high-quality skincare products? Many skincare brands claim to use pure ingredients, but only a few apply scientific research and rigorous testing to create a truly superior product. The team of medical aesthetics experts at Healthy Outcomes AZ only recommend the best quality skin cleansers and moisturizers available. That’s why they proudly offer products from the following Jan Marini Skin Research. What are the benefits of using high-quality skincare products? How do I know which skin care products I need? If you feel overwhelmed when faced with a variety of skin care product options, you’re not alone. Choosing the right skin care can be confusing, but the professionally trained team at Healthy Outcomes AZ is here for you. When you come in for a skin consultation, an expert team member evaluates your skin to determine your particular needs. They asses factors such as your age, skin tone, texture, and any specific concerns you may have. Based on this information, they recommend a customized treatment plan that includes the best cleansers, moisturizers, and other products to maintain healthy, radiant skin. Where can I purchase Jan Marini Skin Research products? 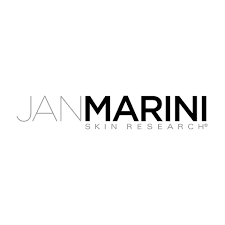 You can find Jan Marini Skin Research products at Healthy Outcomes AZ. If you’re looking for something they don’t have in stock, a friendly and knowledgeable staff member can order exactly what you need. To find out which products you need to maintain healthy, vibrant skin, call or book a consultation online.